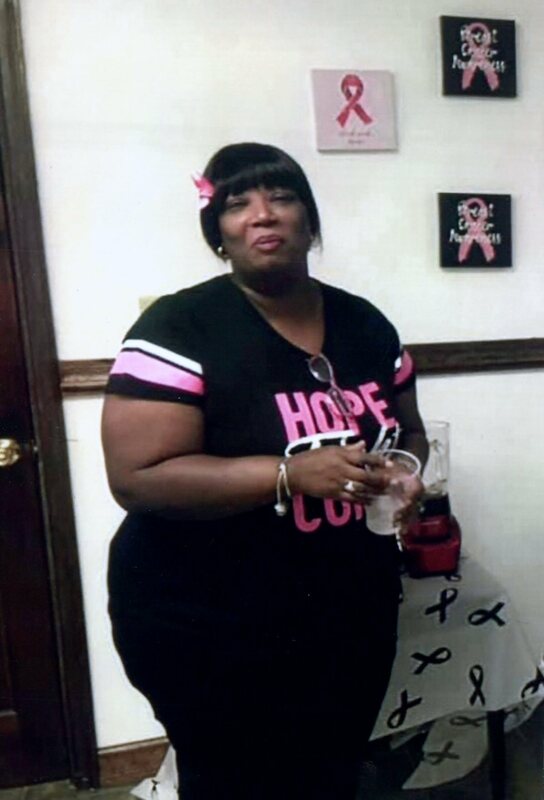 Miranda Nellum-Jones passed away January 22, 2019. I’m sadden by your passing my friend, Miranda. When I think of you all I can remember is your BIG SMILE:) and always full of cheer. I “like that memory”. You will truly be missed. My condolences to the family and friends. To the family, you have my deepest condolences and will always be in my prayers. Miranda, has done so much in a short period of time for so many. I will always be grateful for the time and love she shared with mine. You have gained your angle wings my lady, fly high…. My condolences to the family and friends of Miranda. I really don’t know where to start. Miranda was a great childhood friend of mine with a great personality, and always full of smiles. I will always remember the great times we had and keep her in my heart because she was a great person. Miranda will be missed BUT never forgotten. The Parker family sends their deepest condolences. Miranda was such a great person with the BIGGEST heart. She will be missed by many, but not forgotten by the many people she blessed. Condolences from the Whitley may the peace of God comfort you and your family. Though your heart must hold deep sadness at the loss of the one you loved, may it also hold the blessings of the life you shared and the love that will always be a part of you. Always keep God first,he called home a beautiful person that would be well missed, keep on smiling and looking down on earth, tell Cynthia I said well done and hello, we all loved you but God loved you more., it’s been quite a while since we saw one another but the love for you and your family will always stand, we ate some awesome meals at your mom house and had much fun God will keep your kids and watch over them. God only takes the best you where the chosen one. See you in heaven. We, Freedom Contracting Network, offer our most heart felt condolences during this most difficult time. We pray God grants you His peace and healing. My prayers are with you,it’s difficult but God will give you strength. My condolences to the family. My thoughts and prayers are with you during this difficult time. Miranda was the smiling face that I saw every morning on my way into work. I stopped at Wawa every day and I really enjoyed chatting with her. She always had a smile on her face and was always very friendly. I will definitely miss her. I hope she rests in peace. My thoughts and prayers go out to her family and friends. She was an awesome person and she will be missed! !